RUMSEY: David, early voting ended Saturday. How did it go this time around? BORAKS: Turnout was up, at least in Mecklenburg County. About 20,300 people voted early this time. That's up from about 13,600 four years ago, which was another off-year primary without big races like President or Governor. I asked Mecklenburg County elections director Michael Dickerson why he thought the numbers were up. DICKERSON: It's a convenience factor that more and more people are getting out and voting early. The other thing is you have a few good races out there that might be drawing folks, both on the Democratic and Republican side. Dickerson says historically primaries like this have a total turnout of 10 percent or less. With a larger early turnout, he's wondering if turnout could be higher - perhaps 14-15 percent. Statewide, it looks like Democrats have really gotten out the vote. About 139,000 voted early, compared with 82,000 Republicans and 72,000 unaffiliated voters. That's according to NCVotetracker.com, which is run by the Civitas Institute. RUMSEY: So what are some of those races that are getting people to the polls? BORAKS: A couple of Congressional primaries in Mecklenburg County. In the 9th District - which runs from south Charlotte east to Fayetteville, incumbent Republican Robert Pittenger is facing a challenge for the second election in a row from Baptist pastor Mark Harris. Harris only lost by 134 votes last time - but Pittenger has the incumbent's advantage. There's also a Democratic primary in the 9th District. Dan McCready is the favorite there, facing Christian Cano. The rest of Charlotte is in the 12th District, where Democratic Representative Alma Adams, is up for re-election. She has three challengers. And there are also three Republicans running for the nomination to face her in November. RUMSEY: What about the county races? BORAKS: Two Democratic primaries here will actually decide who gets to be the next sheriff and District Attorney. That's because there are no Republicans running. Sheriff Irwin Carmichael is facing a challenge from two former police officers - Garry McFadden and Antoine Ensley. And incumbent district attorney Spencer Merriweather is facing a challenge for this job from former public defender Toussaint Romain. Also on the ballot are several contested state legislative races. Mecklenburg County Commissioners are also on the ballot. The most interesting race there - the three at-large commissioners are facing four challengers for their seats. 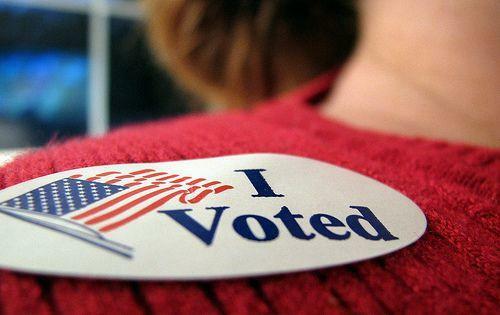 The polls will be open Tuesday from 6:30 a.m. to 7:30 p.m. WFAE kicks off its Primary Election coverage Tuesday night at 7 – and we want you to be part of the conversation. Join host David Boraks and our political analysts by calling 704-926-WFAE.